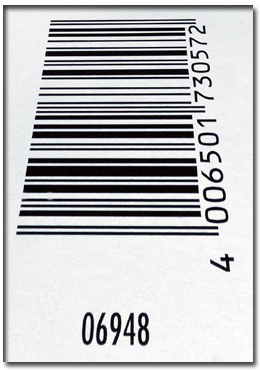 A barcode is a series of parallel, adjacent bars and spaces that hold information. Information is encoded into spaces and bars of various width. A barcode device scans the bars, translates the information back into regular characters, and allows them to be viewed and stored on a computer or portable terminal. There are many different barcode symbologies (bar code type). Each uses its own unique pattern of bars and spaces. The UPC code used in the retail market is an all-numeric code; so is the Interleaved 2 of 5 Code. Code 39 was the first commercial alphanumeric bar code symbology. Code 128 is also an industrial code that includes the ASCII character code set. Bar Code implementation provides enormous benefits for any business. Bar-code systems have been proven to save time, increase productivity, reduce down time, minimize the endless paper trail and lower inventory costs. Faster Data Entry: When scanning data the user can record the data five to seven times faster than keying in the information. Better Accuracy: You will see an average of 1 error per 300 keystrokes when using the manual method. Bar code data entry has an error rate of only 1 in 3 million. Bar-coding can reduce the time it takes to fill orders, count inventory, and ship product. This will reduce your costs and overhead. From an accounting point of view bar-coding systems can improve the accuracy in reporting labor costs for specific jobs or products, and provide information on the productivity of employees. It will also assist auditors at year's end by providing a secure, effective information system. Bar-coding can reduce the time it takes to fill orders and count inventory. Up-to-date reports can be produced on a timely basis and eliminate costly over or under stocking. Bar-coding systems can increase the efficiency of "just in time" inventory systems. All of this will reduce your costs and overhead. The productivity of your company will vastly improve. You will find you spend less time on paper work and have more time to devote to customer satisfaction! Many of our clients at BaxTek Solutions tell us that bar-coding has increased their efficiency of data entry and retrieval. Now they have more time to fill orders and/or produce more products. BaxTek Solutions is a Systems Integrator in the Bar Code & Data Collection Industry. We provide SOLUTIONS--not just sales. We offer many options & products to maintain and grow your business, as you need. At BaxTek Solutions we work for you, not one particular manufacturer. Each application is somewhat unique. We provide the custom sales and service you deserve to make your business a success. We think you deserve the right product for each application without being limited to one product or dealer. BaxTek Solutions is here to serve you, no matter what your application in Bar Code Labeling, Hardware, Software and Equipment Maintenance might be. Our technical team provides a totally independent and objective analysis for you. 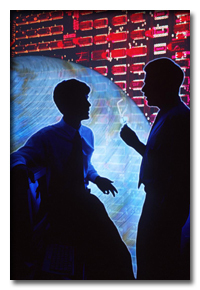 We know you need the most effective answers& so let BaxTek Solutions help! Bookmark our Site so you can check on our specials and our growth. This is a dynamic industry with changes occurring every day in technology and products. Our industry is key to keeping your business competitive. If you want to do it better, faster & less expensive than your competition then call us today so we can help you achieve your business goals.